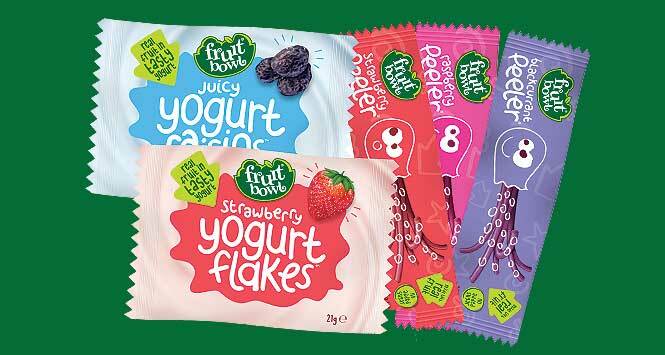 UK-based fruit snack company Fruit Bowl has unveiled its first-ever convenience range, available to order now. Peelers are 100% fruit, six-stranded snacks. They are gluten-free, contain no added sugar, are vegan friendly and count as one of your 5-a-day. Fruit Bowl’s Yogurt Raisins are made – unsurprisingly – from raisins covered in yogurt, with no added colours or flavours. They are also gluten-free. Strawberry Yogurt Flakes are little strawberry pieces created from puréed real fruit, which are then covered in yogurt. Again, they are gluten-free. To stock, email info@primelinesales.co.uk or visit fruit-bowl.com.